Saffron is a herbal preparation harvested from the stigma of the Crocus sativus flower. It is dark orange and threadlike in appearance, with a spicy flavor and pungent odor. The plant is grown in India, Spain, France, Italy, the Middle East, and the eastern Mediterranean region. In addition to its culinary uses, saffron is prescribed as a herbal remedy to stimulate the digestive system, ease colic and stomach discomfort, and minimize gas. It is also used as an emmenagogue, to stimulate and promote menstrual flow in women. Preliminary studies have shown that saffron may also be a useful tool in fighting cancer. According to a 1999 study, use of the herb slowed tumor growth and extended lifespan in female rats. A 2002 study done at Indiana University indicates that saffron may not only be effective in treating certain types of cancer, but significantly less likely to cause birth defects if given to pregnant women than all-trans-retinoic acid (ATRA), the compound most often given to treat these cancers. Saffron may thus be a preferable alternative to treating ATRA-sensitive cancers in women of child-bearing age. Additional human studies have indicated that saffron has powerful antioxidant properties; that is, it helps to protect living tissues from free radicals and other harmful effects of oxidation. Two chemical components of saffron extract, crocetin and crocin, reportedly improved memory and learning skills in learning-impaired rats in a Japanese study published in early 2000. These properties indicate that saffron extract may be a useful treatment for neurodegenerative disorders and related memory impairment. Saffron is harvested by drying the orange stigma of the Crocus sativus flower over fire. Over 200,000 crocus stigmas must be harvested to produce one pound of saffron. This volume makes the herb extremely expensive, and it is often cut with other substances of a similar color (e.g., marigold) to keep the price down. 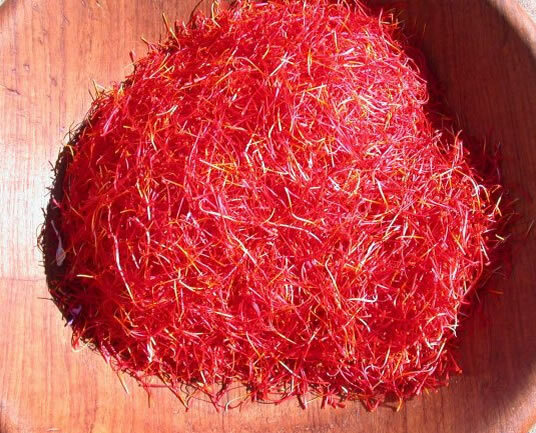 Because saffron is frequently used as a spice to flavor a variety of dishes, particularly in Mediterranean recipes, it can often be purchased by mail order and at gourmet food stores as well as at health food stores. The herb is usually sold in either powdered form or in its original threadlike stigma form. Saffron can cost as much to $10.00 per gram. For medicinal purposes, saffron can be taken by mouth in powder, tincture, or liquid form. To make a liquid saffron decoction, mix 6–10 stigmas or strands of saffron in one cup of cold water, bring the mixture to a boil, and then let it simmer. The saffron is then strained out of the decoction, which can be drunk either hot or cold. An average recommended dose of saffron decoction is 1/2–1 cup daily. Saffron should be stored in an airtight container in a cool location away from bright light to maintain its potency. The herb can be frozen. Properly stored saffron can be used for up to two years. A good measure of the herb’s freshness and potency is its odor. 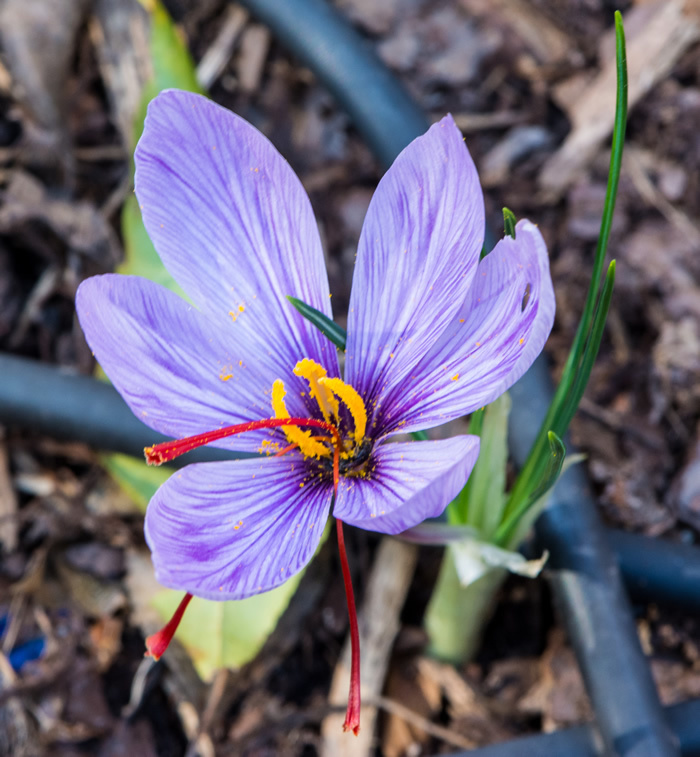 If the saffron does not have a noticeable pungent smell, it is probably past its peak. Because saffron can stimulate uterine contractions, pregnant women should never take the herb for medicinal purposes. Saffron should always be obtained from a reputable source that observes stringent quality control procedures and industry-accepted good manufacturing practices. Because of its high cost, saffron is often found in adulterated form, so package labeling should be checked carefully for the type and quality of additional ingredients. Botanical supplements are regulated by the FDA; however, they are currently not required to undergo any approval process before reaching the consumer market, and are classified as nutritional supplements rather than drugs. Legislation known as the Dietary Supplement Health and Education Act (DSHEA) was passed in 1994 in an effort to standardize the manufacture, labeling, composition, and safety of botanicals and supplements. In January 2000, the FDA’s Center for Food Safety and Applied Nutrition (CFSAN) announced a ten-year plan for establishing and implementing these regulations by the year 2010. 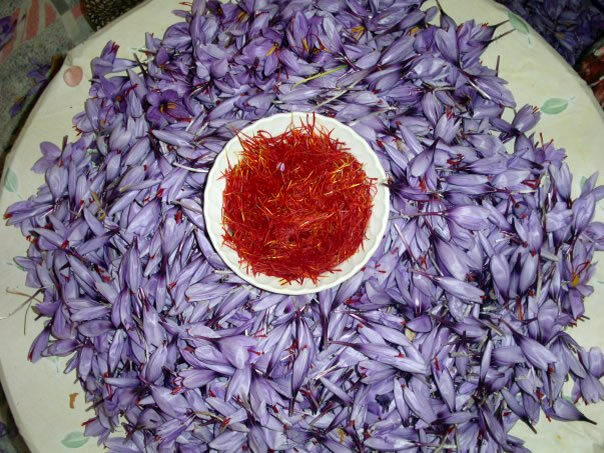 Although there are no known side effects or health hazards associated with recommended dosages of saffron preparations in healthy individuals, people with chronic medical conditions should consult with their health care professional before taking the herb. In addition, pregnant women should never take saffron, as the herb stimulates uterine contractions and may cause miscarriage. If any of these symptoms occur, the user discontinue the use of saffron immediately and seek emergency medical assistance. As of 2002, there are no reported negative interactions between saffron and other medications and herbs, although certain drugs with the same therapeutic properties as saffron may enhance the effect of the herb.